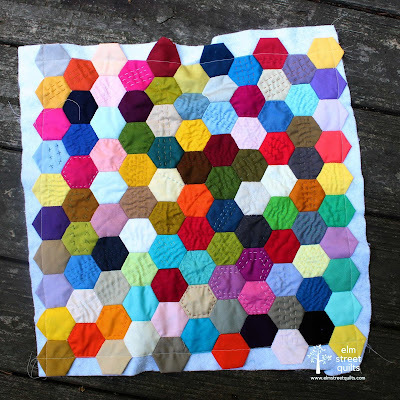 Last week I blogged about a new podcast - The Quilt Fiction Podcast - by my friend Frances Dowell. Frances is reading chapters from her latest novel - new episodes each Friday. 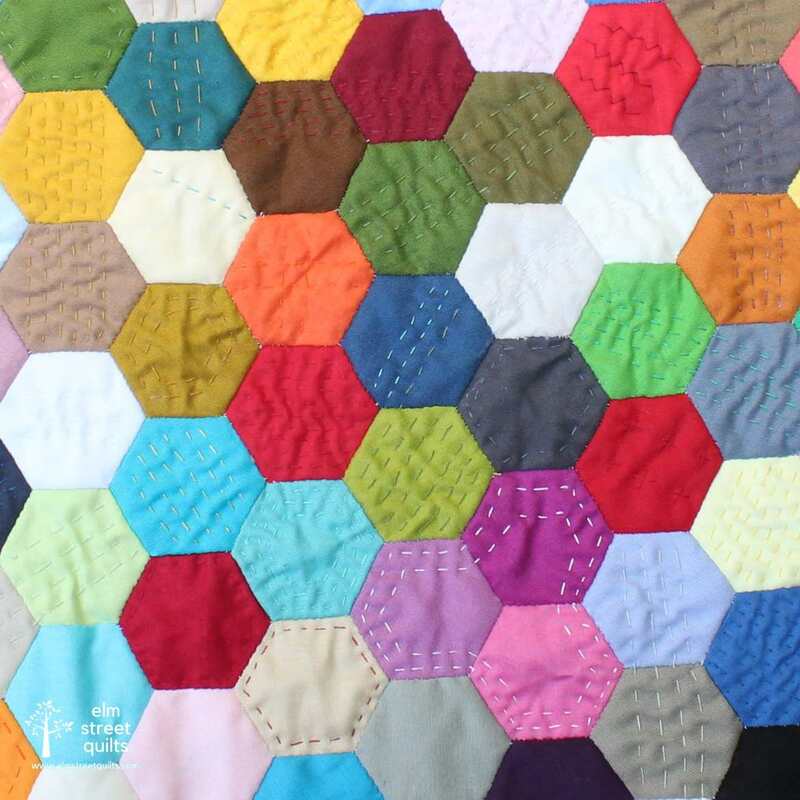 Recently Frances and I worked together on a quilt pattern inspired by a newspaper clipping she found circa 1930s. The pattern is now available for free! 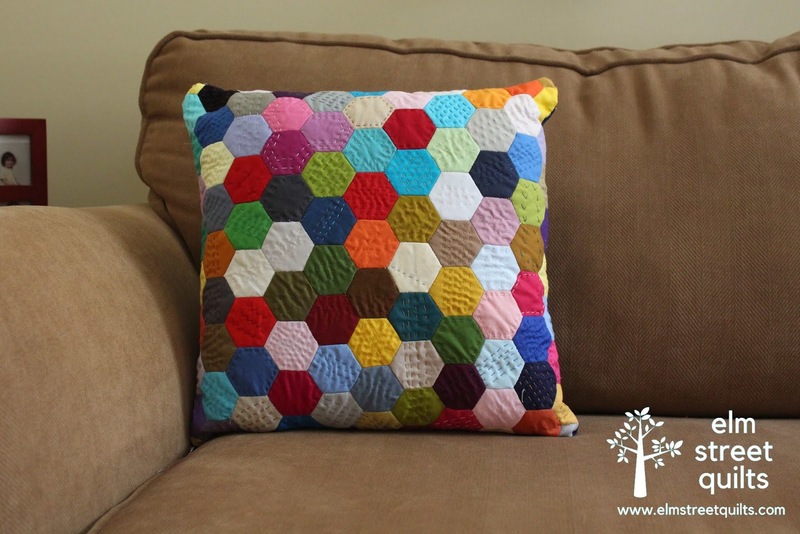 I wanted to play around with other color-ways (EQ7 makes this so easy!). Aren't these fun? My favorite may very well be the second one or maybe the last one! Read more about the quilt and get the free pattern here. 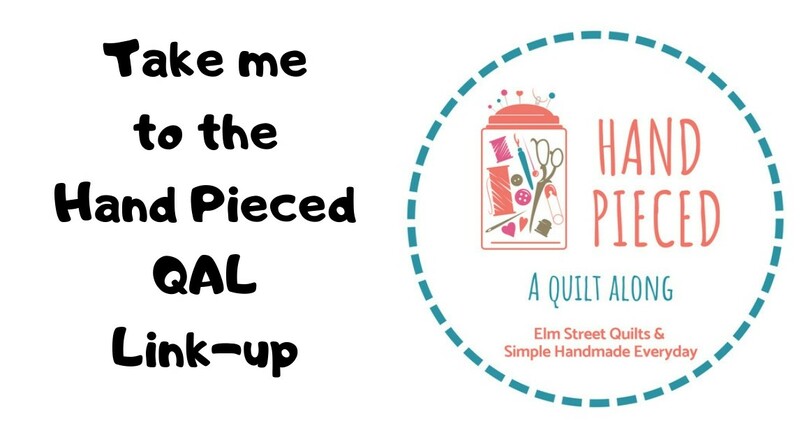 One of my key goals for 2018 was to collaborate with other quilters & bloggers. 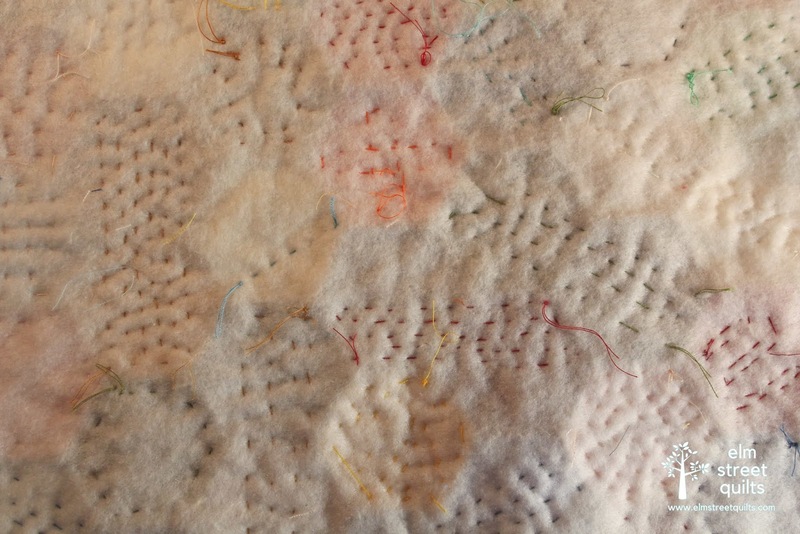 I'm pleased to share my very first result! Checking in with my blocks for the Quilter's Planner QAL. July's block was fun. 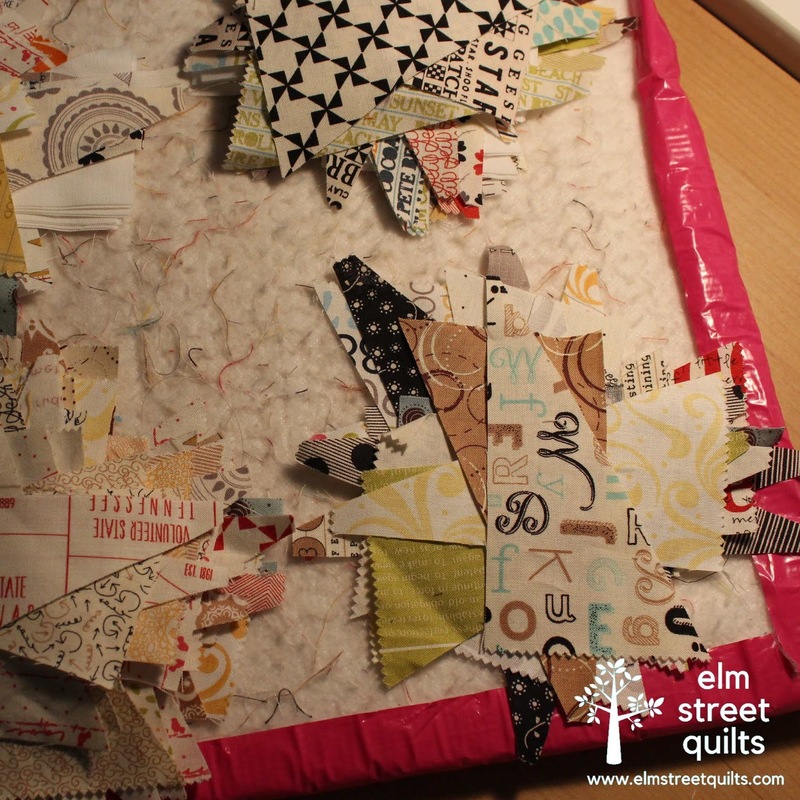 I'm downsizing the blocks to 6'' finished and created a paper pieced pattern for myself to piece those geese. 7 blocks are now done. 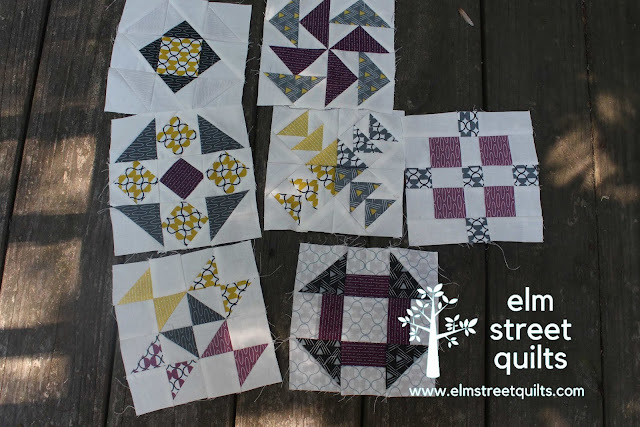 I'll be turning these blocks into a pillow when I'm all done. Happy dance! 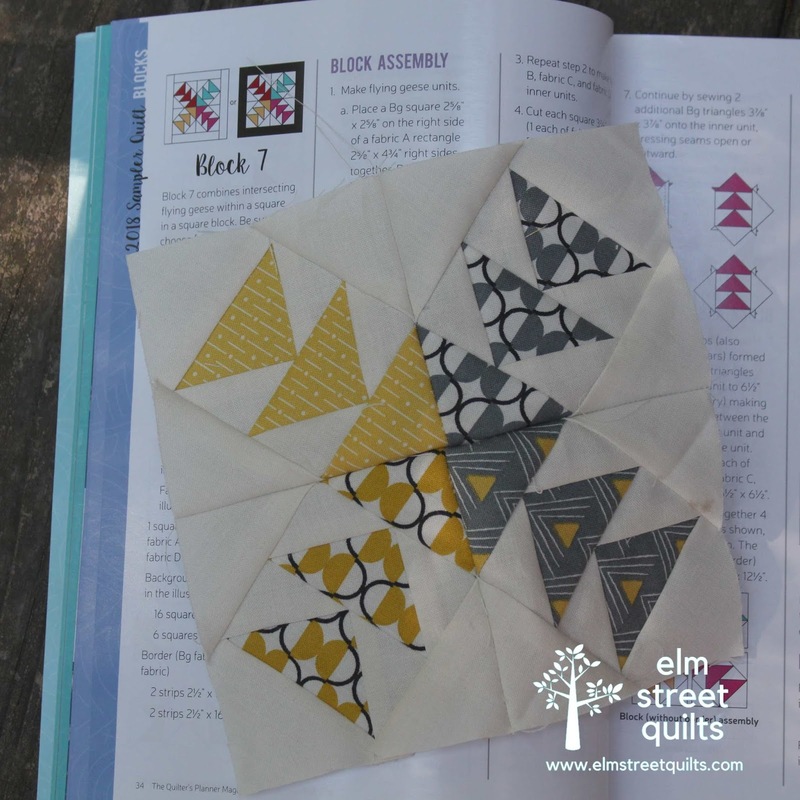 My very first magazine publish for a quilt I designed! My quilt Sequence is in Make Modern Magazine issue 23 which became available on July 6th. Make Modern Magazine is a digital magazine and I love browsing through the articles and the photos on my ipad. 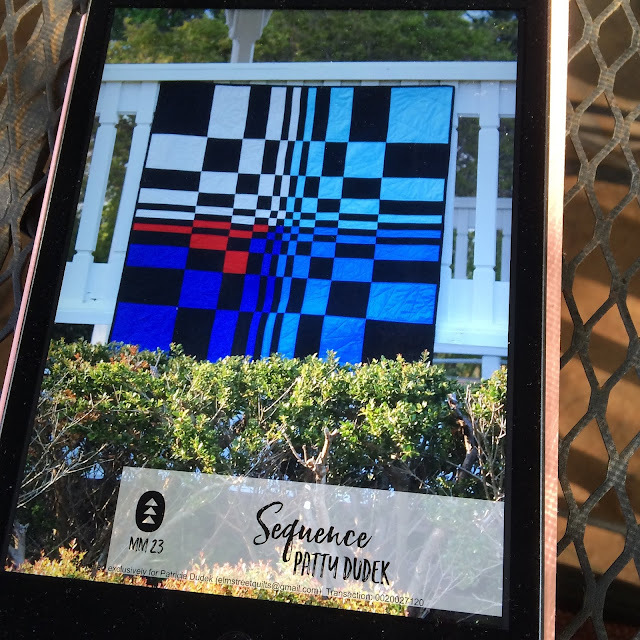 Sequence was originally designed for my son - the math geek. 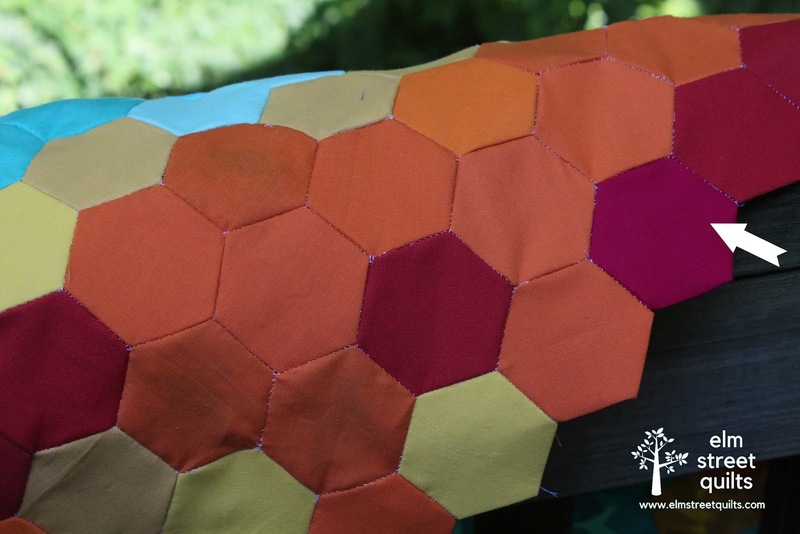 It is inspired by the Fibonacci sequence of numbers (1, 1, 2, 3, 5, 8 ...) where each number in the series is the sum of two prior numbers. I used these numbers as the finished dimensions for the blocks as well as the quilting I did. Make Modern Magazine was fantastic to work with. The team is based in Australia and the designer is responsible for their own photography. 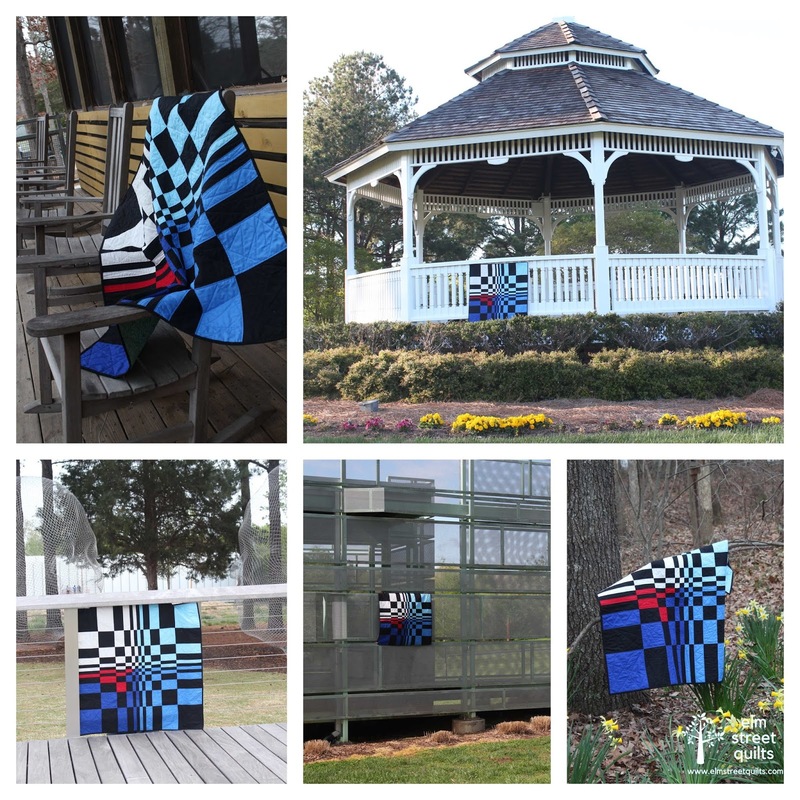 I had a great time taking my quilt all over to capture some photos. I visited a local park, the art museum and our neighborhood green to capture photos. 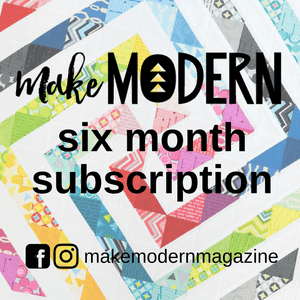 Interested in your very own subscription to Make Modern Magazine? Subscribe now! Want to grab a copy of the current issue 3 and make Sequence and the other great projects? Click here to order just issue 23. Yvonne from Quilting Jetgirl invites us to review our 2018 goals as we cross into July and the second half of the year. I'll be joining her link-up here. So how am I doing? 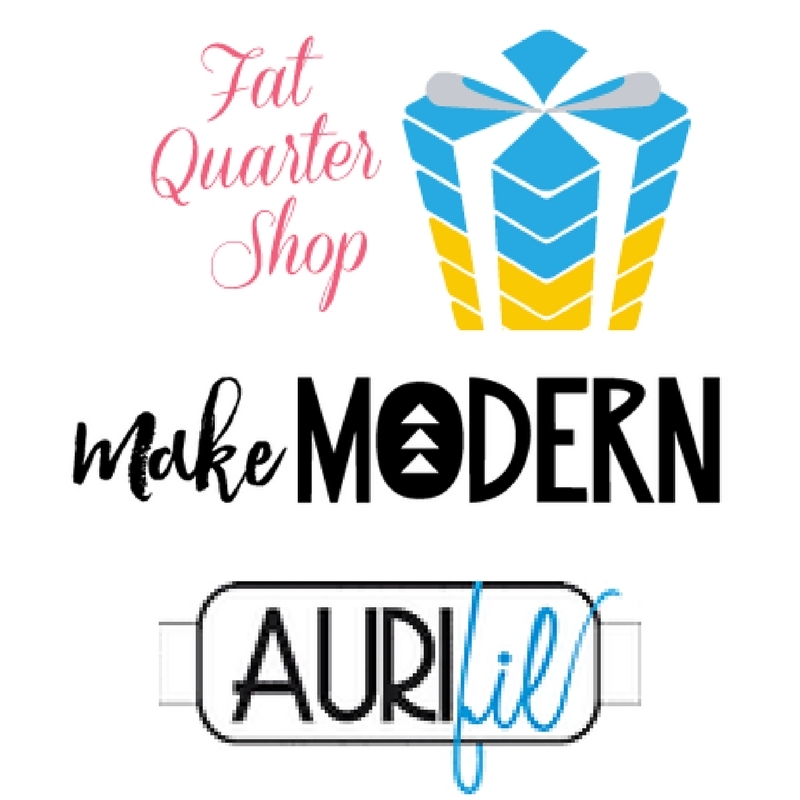 For my first 3 goals (be bold in my choice of color and design, sew a quilt by hand, and improve my FMQ) have tangible proof of progress against my goals. 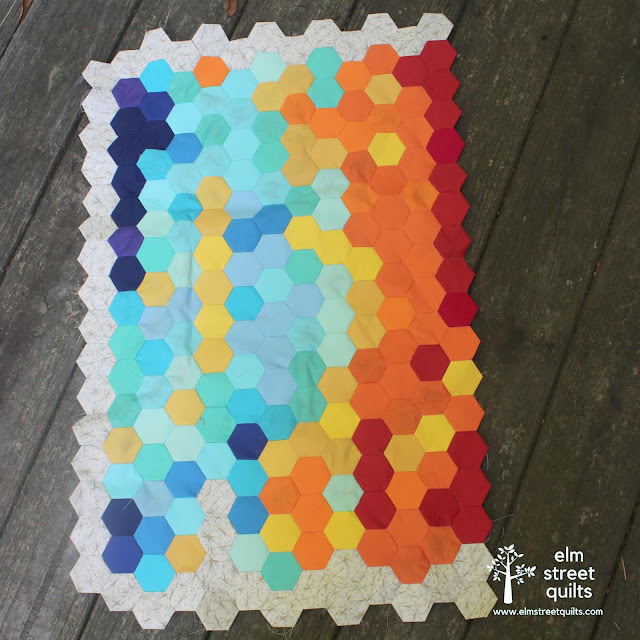 My quilt Encouragement gave me the opportunity to go bold with color with lots of bright saturated fabric plus practice my FMQ. Hard to see in this photo, but there are 5 long rows of FMQing that go across the quilt mingled with those straight lines. 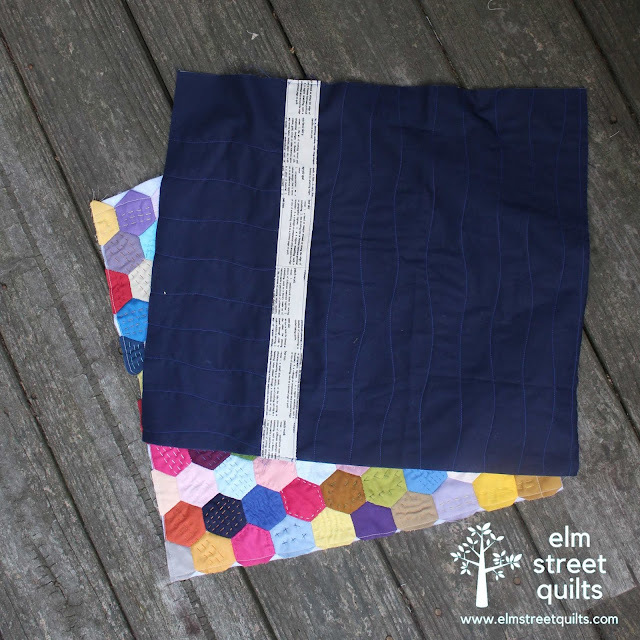 I'm using that same fabric to hand-piece my double wedding ring quilt and so happy I decided to try hand-piecing. For the goals around quilt design and submitting to shows and publication -submit quilt designs to magazines for publication, & create a new quilt for submission to QuiltCon 2019 and other shows - I've got some progress to report but work still to be done. 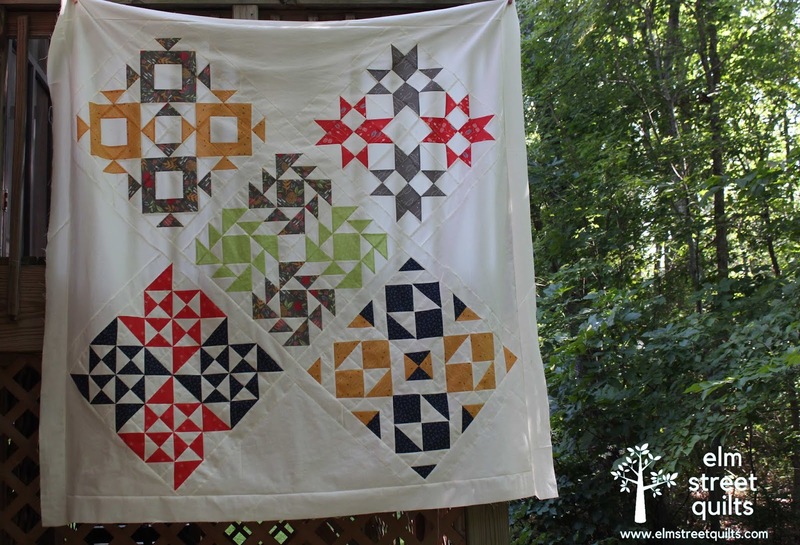 First, my quilt hung in a local quilt show. 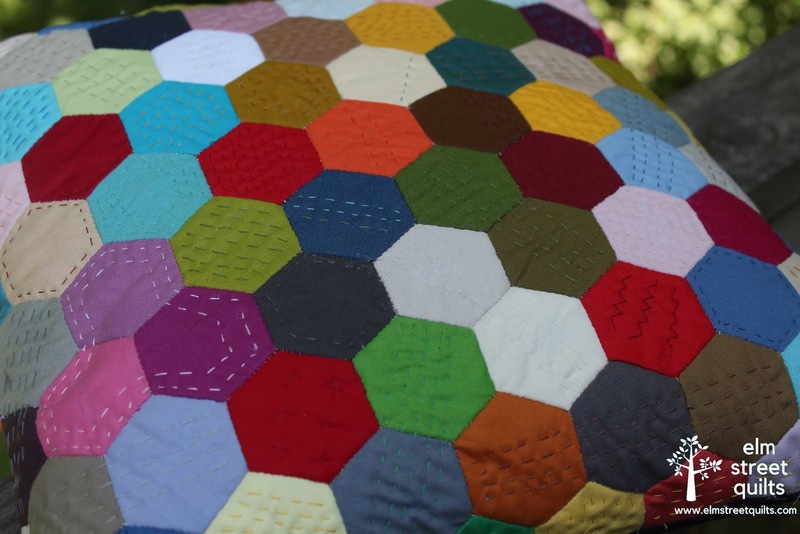 This was the first time a quilt had been accepted into a show. 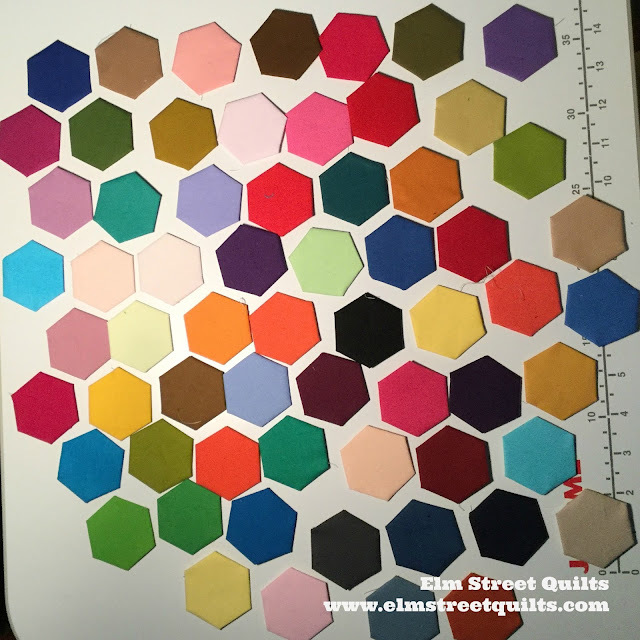 And I fully intend to work on a quilt specific for QuiltCon submission but so far, I've not started on it. I've done nothing (yet?) on submitting quilt ideas to magazines. 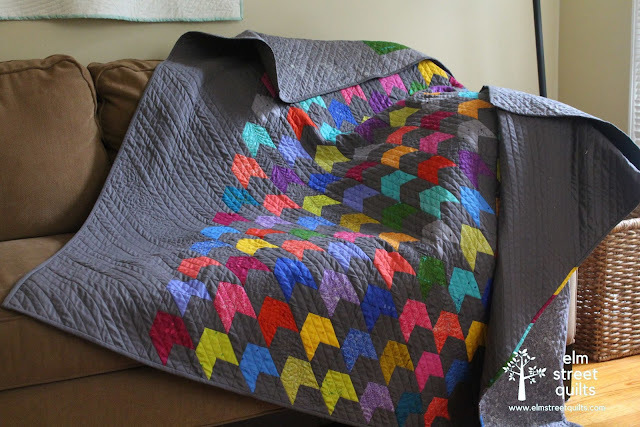 While I will have a design in the next issue of Make Modern magazine (so excited), the quilt was submitted last year so doesn't quite count against 2018 goals. 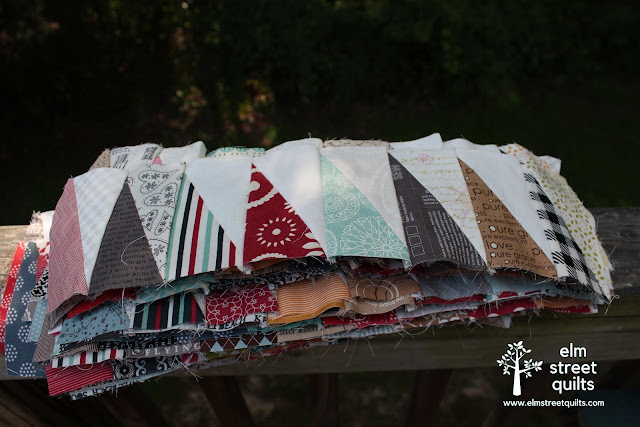 I've met so many people through my blog so my next two goals (collaborate with other quilters / bloggers on a project and grow participation in One Monthly Goal) are important ones. Finally, when I retired 3 years ago, two of my key goals were to write a novel and improve my photography. Let's just say I'm happy there are 6 more months left in this year for that novel. Plenty of time to focus on this! Bottom line, these goals are serving me well. I'm going to leave them just as they are and try to get myself a bit more focused on some of them! Did you set goals for 2018? How are you doing? 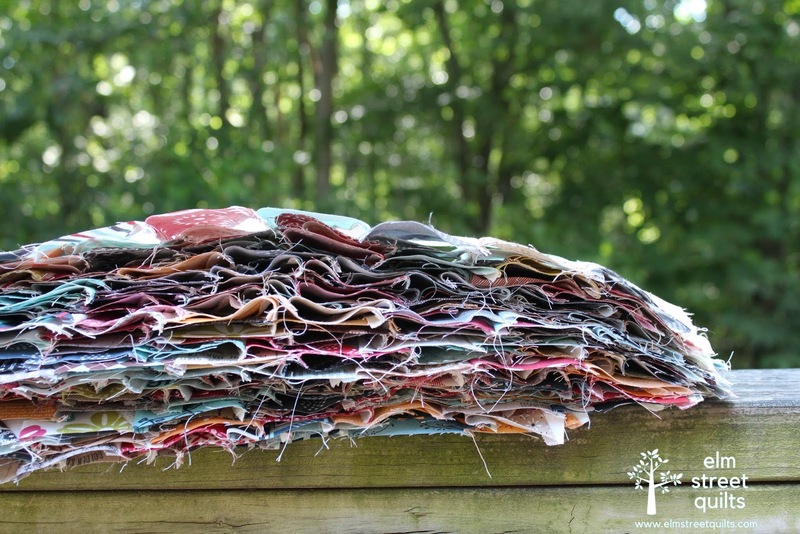 June was a hot one here in central North Carolina! See all that red? Those are temps in the 90s! The first column (of color) on the left is January 1 through 15, next column January 16 through 31 etc which means the last column on the right is June 16 - June 30. I'm using a low volume fabric to fill in months that don't have 31 days plus surrounding the overall temperature quilt as you can see surrounding the quilt on left edge, top and bottom. 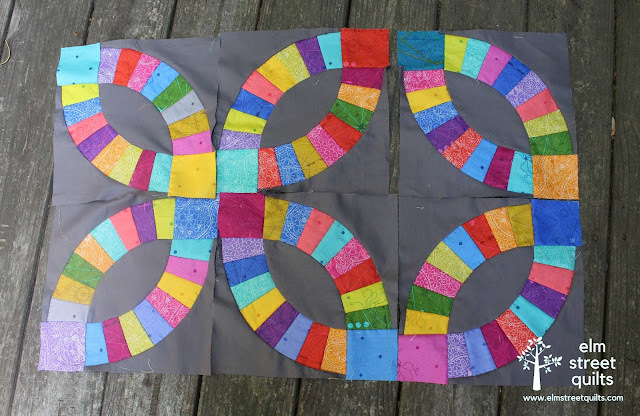 The quilt measures roughly 32'' x 19''. Summer arrived in June - lots and lots of days in the 80's and the 90's - all which brought some changes to my plan. 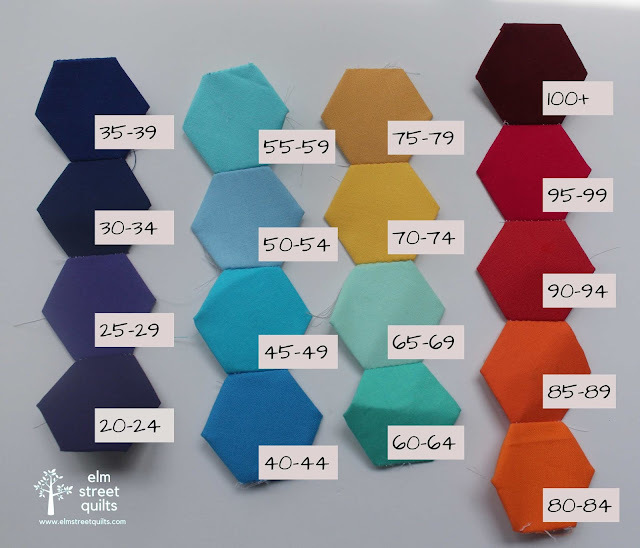 First, there were so many more days that hit 85 which put me at real risk for not having enough of my 85-89 orange fabric. I ordered some more. Welcome to July! We had 110 projects linked up in June - let's see what this month brings! 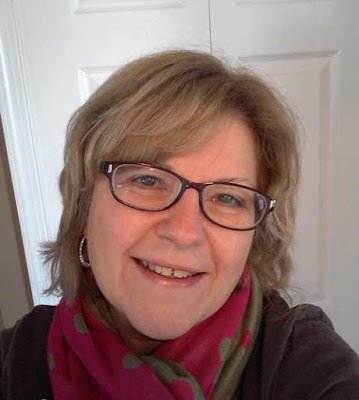 I am very excited to introduce the designer sponsor for July - the one and only Pat Sloan. 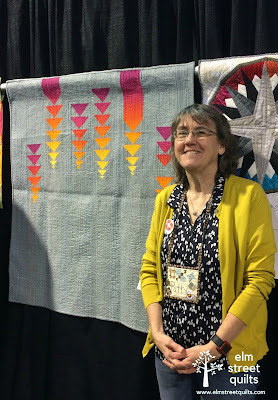 Pat is a fabric designer, quilt designer, author, and lecturer plus she has a weekly radio show which is also available as a podcast. 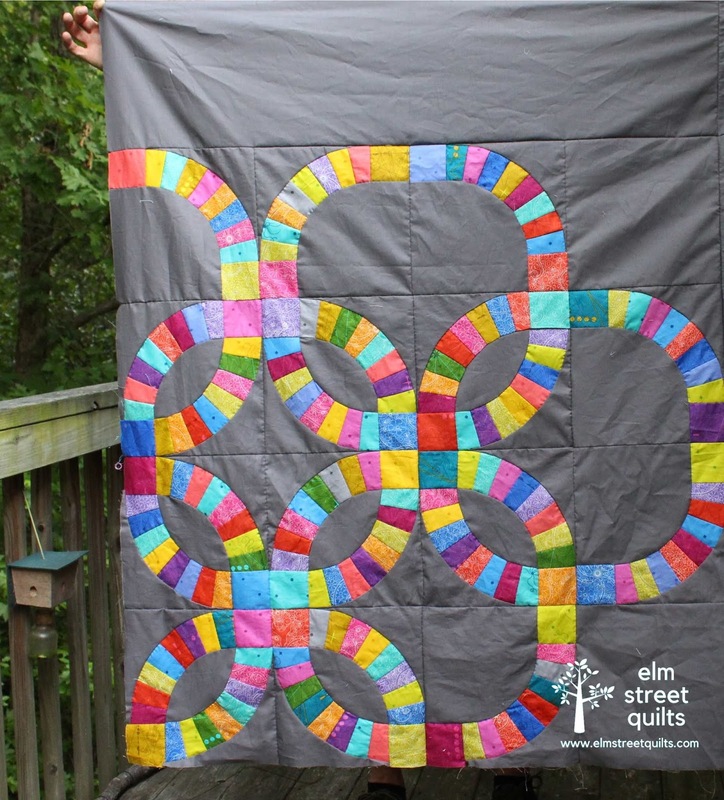 Pat is passionate about making quilting fun for herself and everyone around her. 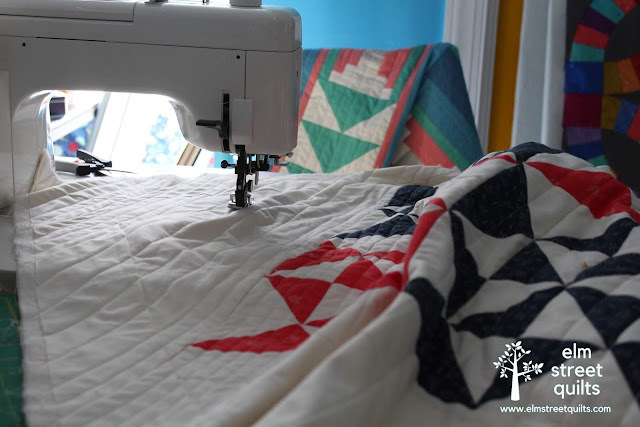 She creates a warm and welcoming environment for quilters of all abilities through her free QALs, link-ups and her Facebook group. Together with her friend Jane Davidson, Pat collaborated with many industry designers to create the Splendid Sampler and - available later this year - the Splendid Sampler II. If you aren't listening to Pat's weekly American Patchwork & Quilting podcast hosted by Pat Sloan, you are missing wonderful interviews with guests from the quilting world. Pat's interview style is warm and welcoming. I love learning about her guests each week and never miss an episode. Pat travels around the country teaching and showing her quilts to quilt guilds and quilt shops. 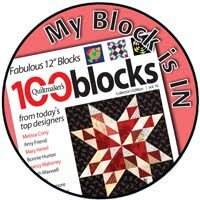 Pat has written over 30 quilt books (see them on Amazon) and has had her designs published in all the national magazines. Pat is offering a Aurifil thread box to one lucky winner! 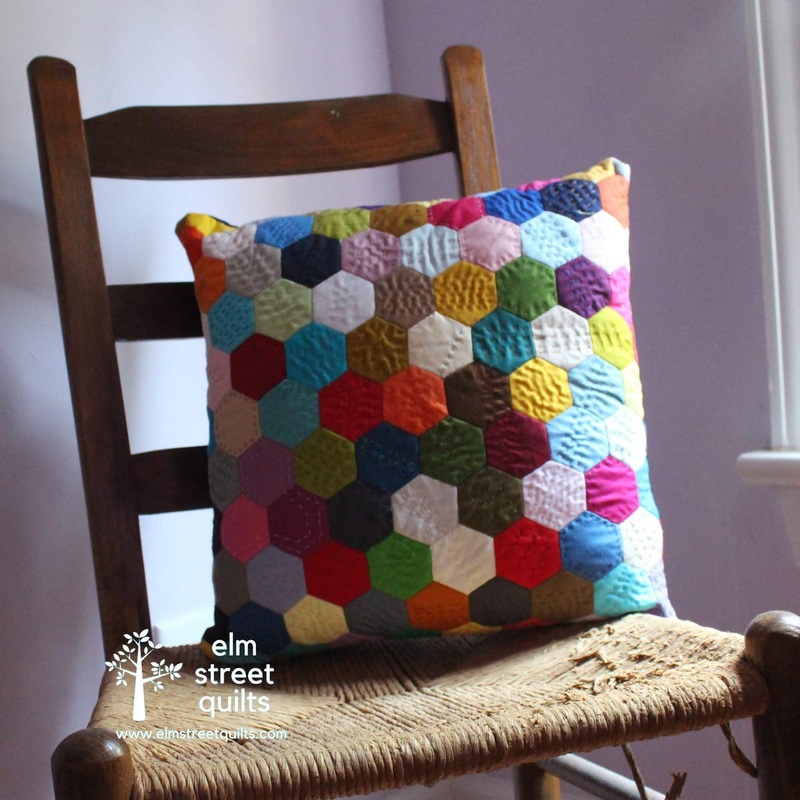 Visit Pat on her website PatSloan.com and make sure to check out her free BOM Mystery QAL - Let's Go Camping. 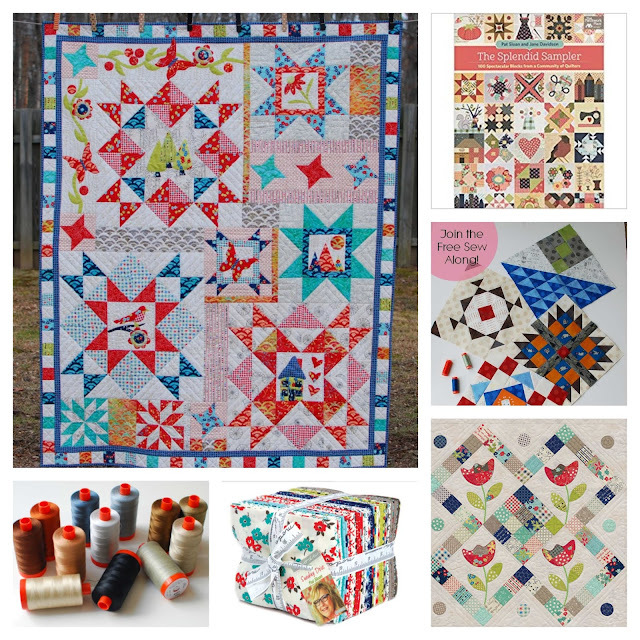 You can also visit Pat on her blog, pattern store, Quilt Along with Pat Sloan Facebook group, and Instagram. 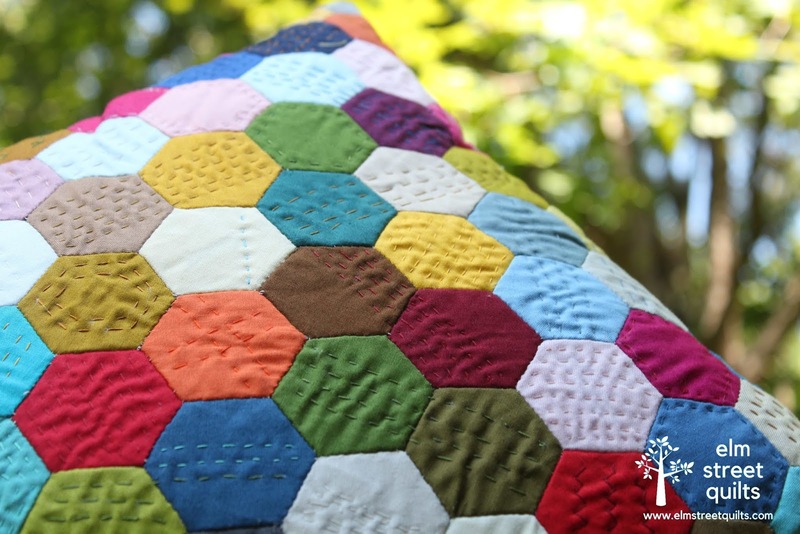 My goal for July is finish my hand quilting and turn my hexie project into a pillow.